- On August 28, 2012, U.S. Federal Judge Leonie Brinkema awarded $21 million in compensatory and punitive damages against former Somali General Mohamed Ali Samantar. In a hearing before Judge Brinkema on February 23, 2012, General Samantar had accepted liability and responsibility for damages for torture, extrajudicial killing, war crimes and other human rights abuses committed against the civilian population of Somalia during the brutal Siad Barre regime, the military dictatorship that ruled that country from 1969 to 1991. This judgment marks the first time that anyone has been held to account anywhere in the world for atrocities committed by General Samantar and the military dictatorship that ruled Somalia for over 20 years. During the 1980s, General Samantar presided over an increasingly repressive military that committed horrific atrocities with particular harshness in the northern part of Somalia, and particularly against people who were of Isaaq heritage. In response to this brutality, a pro-democracy resistance movement emerged, calling itself the Somali National Movement, or the SNM. The SNM drew its strength from the Issaq. Though the SNM also committed human rights violations, the overwhelming number of atrocities were committed by Somali government soldiers. Will $21 Million Somalia Judgment Be the Last of Its Kind? - This week, a group of Somalians subjected to torture and other human rights abuses by the Somalian regime received a measure of justice before a U.S. federal district court. This year, will the U.S. Supreme Court allow such cases to continue? In the historic case decided Tuesday, Samantar v. Yousuf, a judge awarded $21 million in compensatory and punitive damages against former Somali General Mohamed Ali Samantar for committing torture, extrajudicial killing, war crimes and other human rights abuses against the civilian population of Somalia. For those who suffered his abuses, this judgment is long overdue. Nevertheless, it marks the first time that a former Somali government official has been held accountable for gross human rights violations committed under the brutal Siad Barre regime, the military dictatorship that ruled the country from 1969 to 1991. The four Somali plaintiffs sued under two U.S. laws: the 200-year-old American Alien Tort Statute (ATS), and the Torture Victims Protection Act (TVPA) of 1991. These laws are in place to protect individuals from the worst-of-the-worst human rights abuses. From a young Somali businessman abducted and subjected to electroshock treatment to a goat herder whose two brothers were ruthlessly executed, the Somali plaintiffs viewed our legal system, and the ATS, as a beacon of hope. After all, Samantar is living here, in Virginia, enjoying the benefits of residency in the U.S. Why should he -- or anyone, for that matter -- be able to avoid legal liability for murder? Boobe Yuusuf Ducaale, wuxuu sheegay in maalinta Isniinta ah marka uu xilka wareejiyo uu bilaabi doono qormooyin taxane ah oo uu kaga hadlayo xil ka qaadistiisa iyo arrimaha sababay oo uu sheegay inuu faahfaahin dheeraad ah ka bixin doono. Madaxweynaha ayaa Boobe Yuusuf Ducaale, xilkan u magacaabay 14 bishii March ee sannadkan, waxaanu wakhtigaas ka hor ka tirsanaa madaxda Akademiyada nabadda iyo horumarinta Somaliland.-- Geeska! - After two months of a high-wire drama filled with titillating rumors and speculations about his ill-health, recovery, and death, it is now official; Ethiopia's ruler of two decades, Meles Zenawi is dead. Zenawi disappeared from the limelight, which he visibly cherished, on June 26. Doctors would debate about what caused his early demise. Did blood cancer do him in? Was it brain tumor? Or was liver disease the culprit? Given the secrecy and the Ethiopian regime's tight hold on domestic media, we may never know the truth. Politicians would debate on what kinds of policies, practices, and institutions he bequeathed to the country. His supporters would definitely remember him as a great leader that ever ruled Ethiopia, so we are told. To some of his opponents, extremist detractors as he liked to call them, he is the devil incarnate, one of the worst killers Ethiopia has known. Diplomats would write about his negotiating skills, intellectual prowess, and continental stature. The U.S. would praise him for his service as a loyal ally on the "war on terror," who helped stamp out Islamic militancy in neighboring Somalia. Critics point to how Zenawi’s ill-conceived intervention in 2006 stoked the rise of al-Shabab and how his party’s increasingly Islamophobic policy led to self-assertive activism among his own restive Muslim population, perhaps the most lethal threat to the viability of a secretive regime he left behind. ARLINGTON, Va. (AP) —U.S. judge has awarded $21 million to seven people who had sued a former prime minister of Somalia now living in Virginia, claiming he had tortured and killed his own people. The judgment against Mohamed Ali Samantar of Fairfax comes at the end of an eight-year legal battle that went to the U.S. Supreme Court. Seven Somali natives filed the lawsuit in 2004 in federal court in Alexandria against Samantar, now 76. He served as vice president, defense minister and prime minister throughout the 1980s under dictator Siad Barre, until the months before the regime collapsed in 1991. 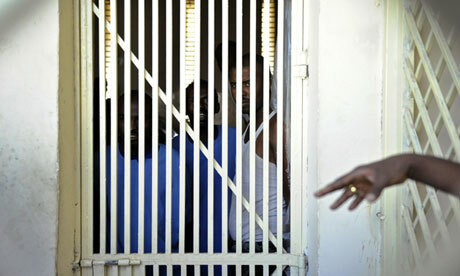 The suit claimed that Samantar personally ordered the killings and torture of members of a minority clan in Somalia. Samantar denied the accusations and claimed immunity from the lawsuit. On the day the trial was to begin, he entered a default judgment. That means he accepted legal liability for the killings, but he denied wrongdoing and said he never approved any slayings. He is currently in bankruptcy. - Dameer ayaa waxa lahaa nin ka ganacsada dhirta dawooyinka ah. Dameerku aad buu u shaqayn jiray. Waagu marka uu beryo ilaa gabalku marka uu dhaco waxay u ahayd in uu rar sido. Inkasta oo rarkiisu ahaa dhir badan oo udgoon oo dawooyin ah, waxba kama cuni jirin dhirtaasi. Ninka lehina cuno ku filan ma siin jirin. Sidaa darteed, gaajo badan ayuu tirsaday. Dameerki wuxu uurka ka doonay in uu yeesho oo uu u shaqeeyo nimaan dawoo-lahan gaajada ku eegay ahayn. Mudo ka dib, ayaa wuxu uurka ka doonay u rumoobeen. Dawoolihi wuxu ka iibiyay nin dhagxaanta ka ganacsada. Dhagaxlihina maalin oo dhan dhagxan culus ayuu ku raraa. Cunadiina uma kordhin. Waxa isugu darsamay shaqo culus iyo cuno yar. Markale ayuu hadan uurka ka doonay in uu yeesho oo u shaqeeyo nimaan dhagaxlahan dhibay ahayn. Archive: The Somalilnad way to peace on Vimeno. Political choices Should Be Made On The Basis Of Philosophy And policy Positions, not Tribe.!!! - I appeal for Somaliland people to put partisanship and tribal hatred and division aside and let’s forge a common path to a more peaceful and prosperous future, beginning with choosing our leaders in the next elections based on qualifications and ability, not tribalism and negative ethnicity. We have done it in the past (coming together for a common good of the country) and I am sure we can do it again in 2015. It’s perfectly okay for people to be divided along political ideology and philosophy and, in that sense, where one tribe or another stands shouldn’t really matter.The problem and disease, hatemonger’s more precisely, is we are divided along tribal and ethnic lines, which is holding us back or down, depending on how one looks at it. My wish is we are all united first as Somalilanders, a one nation and along the way we can build a political climate whereby our leaders are chosen by virtue of their political ability and qualifications, not tribal or ethnic identity. Political choices should be made on the basis of philosophy and policy positions, not tribe. That is the Somaliland we all aspire to have. That is the somaliland that is truly democratically mature. Political choices can be made on philosophy only if we campaign in one language but if we keeping speaking in our tribal languages for somewhere then people will only choose their own tribe. Typically some people feel close to those who hit the tribal drum. - Isuduwihii wasaarada waxbarashada gobolka Sool Faarax Axmed Cabdi ayaa sheegay inuu xilkii iska casilay, isaga oo ku sababeeyay iscasilaadiisa mid uu ku doonayo inuu u madaxbanaanaado hawlo kale oo uu qabsado, waxaanu tilmaamay inaan cid ku kaliftay iscasilaadiisa iyo masuuliyiinta waxbarashada kaga imanin wax dhib ahi, balse uu isagu go’aansaday inuu xilkaasi baneeyo. Waxaanu intaa ku daray in meel loo shaqeeyo oo waxbarashada ka muhiimsani jirin, isla markaana muddadii uu hawshaasi hayay ku farxsan yahay inuu goob hawlbawle ah u ah bulshada iyo dalkaba ka hawlgalayay, waxaanu sheegay in xilkaasi uu ku wareejiyay Maxamed Maxamuud Cumar (Bisinle) oo ah masuul xilkaasi u qalma waxbarashada gobolka Sool. Mr Faarax Axmed Cabdi waxa uu sidaasi ku sheegay mar uu shalay ka hadlay xarunta Imtixaanaadka Qaranka ee magaalada Hargeysa isaga oo ay wehelinayeen masuulka cusub ee Isuduwaha waxbarashada gobolkaasi noqonaya iyo xubno kale oo ka soo jeeda deegaankaasi. Faarax Axmed Cabdi waxa kale oo uu baaq u jeediyay bulshada ku dhaqan deegaanadaasi, isla markaana waxa uu u soo jeediyay inay midoobaan oo ka qaybqaataan horumarka gobolkooda, isaga oo ugu baaqay inay dhexdooda midoobaan, caruurtoodana u diraan Iskuulada, si ubadku waxbarasho u helaan, isla markaana aanu wakhigu uga khasaarin. Maxamed Xaashi Dhamac ‘Gaarriye’: Biography and Poems. - Maxamed Xaashi Dhamac “Gaarriye”, one of the most famous living Somali speaking poets, was born, bred and brought up in Hargeysa, Somaliland. In the early 1970s, he was among many of his contemporaries living in Mogadishu whose works were regarded to have impact upon the prevalent socio-political situation in the country. They were mainly motivated and moved by their patriotic sentiments and leftist political bearing which was internationally popular in that era. Gaarriye was the initiator of the famous poetic combat chain better known as “Deelley” and the author of “Hagarlaawe”, his collected poems, enough to establish his eminence as great poet among Somali speakers. His contributions to Somali literature and culture as a poet, scholar, liberal thinker and social personality over the past three gruesome decades are well recognised. Equally appreciated in no smaller measure are his indefatigable advocacy of human rights, freedom of thought and expression, and his vehement hatred of all forms of human degradation so brilliantly articulated in his poetry. In this regard, his master pieces on ‘Nuclear Weapons’, ‘Nelson Mandela’, ‘Watergate’ and ‘Zimbabwe’ readily spring to the mind. Well described by other scholars, Gaarriye “has been universally regarded as one of the most important Somali poets composing on a great variety of topics from nuclear weapons to Nelson Mandela. A poet who has never been afraid to engage in the politics through his poetry[..]”. - On 1 August 2012, Somalia adopted a new “Provisional Constitution” and by the end of August, a new government will be set up in Mogadishu (Xamar), Somalia. We are, however, yet again saddened by the fact that Somalians are still busy crafting constitutions and governments that claim to include Somaliland, when it is clear to everyone that since 1991, Somalilanders have not only established peace, but have adopted, a long time ago, their own Constitution and have their own democratically elected president and parliament. Whilst we hope that Somalians achieve the peace and stability that has evaded them so far, we urge them and the international community to accept and respect the irreversible decision of the Somaliland people to re-gain their sovereignty in May 1991. We state unequivocally once again, “We have our own constitution and elected representatives, good luck with yours”. - Somalia is synonymous with failed states, pirates and Islamist militants. 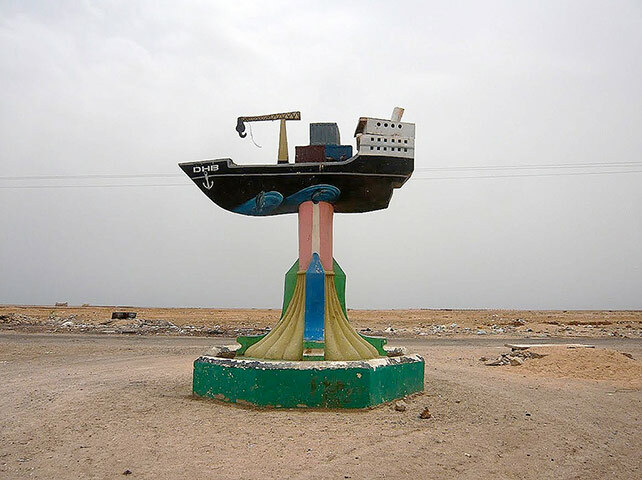 But in the nation's northwest lies a peaceful, stable territory with an elected government known as Somaliland. The enclave broke away from the fractious Horn of Africa nation in 1991 and has been going it alone ever since. To the disappointment of its residents, Somaliland has not been recognized as an independent nation, but its stability is attracting investors that other parts of Somalia can only dream of. The biggest investment project so far sits along a dirt road in the desert some 20 miles outside of the capital, Hargeisa. There, Moustapha Guelle and his four brothers have built a new $17 million Coca-Cola bottling factory. Its green yard, worker cottages and state-of-the-art water treatment plant seem a mirage in this country of sand and stone. Nearby, camels eat the treetops of pale, brown acacias. A ragged nomad drives his black-headed sheep with a stick. In front of the factory site, there's a reservoir for the treated water that flows from the plant, explains Guelle, 41. - Maxaa iyana keenay, in Madaxda Somalia iyo dad badan oo iyaga ka mid ihi si fudud oo dhayalsi ku jiro uga hadlaan, la soo noqoshadii xorriyaddeenii lixdankii? Arrimaha kor ku xusan waxa sabab u ah, Madaxda JSL ee 1991kii ilaa wakhtigan xaadirkaa, oo tahli waayey ama aan garan ba inay soo:- Ururiyaan lafihii Dadka la xasuuqay oo ay ku jiraan lafihii kuwii Jasiira Muqdisho lagu laayay, oo si sharaf leh, loogu aaso Xabaalo u gaar ah, oo lagu qoro: Magaca qofka Da’da Ragii CiidamadaQaranka ahaaee laga soo ururiyay xeryahoodii ama rayidka ahaa. Si dadweynaha Caalamka iyo dhanga-gaalaha Somalia u arkaan waxa loo geystay ummadan Waxa intaa dheeraa, oo ay ahayd in la diiwaan geliyo,Bur-burkii iyo dilkii ay geysteen diyaaradihii ka kacayay Madaarka Hargeysa ee garaacayay magaalada. Madaafiicdii iyo tankiyadii dilka iyo burburka geystay. Sidoo kale, Dhicii iyo boobkii ay Somali u dhameyd, ee magaalooyinkii iyo tulayaashi iyaga oo buuxa laga qaxay ay u gurteen.Dadkaas oo aynu wali ugu yeedhno “walaa-ladeen”. Taas oo iyana ahayd in la diiwaan geliyo. Waxa iyana bar-bar socotay, waxyeelo kale oo ahayd, xadhig aan sabab laheyn, oo lagu doonayo, madaxfurasho lacagadeed. Waxa isna jirey, xadhig muddo-gaaban iyo mid dheer ah oo aan isna sabab lahayn oo la yidhaa “Kacaan Diid”. Waxa hadda ba, maanta haboon; in Guddiyo Xukuumaddu u saarto arrimahan kor ku xusan oo dhan, si xogg buuxda loo helo oo caalamka la hordhigo. Waxa iyana baryahan dambe, isa soo tarayey majare-habow siyaasadeed oo dhaawac ku ah, gooni isutaagii iyo madax bannaanidi JSL. - His plot of land lies not far from Mount Kenya, off a red dirt road and a short walk past the goat that bleats like an old man clearing his throat. Mithika moves cautiously to avoid tromping on the beans his mother insisted on planting and then shows us his prized two-acre field of moss-covered and gnarly trees, some more than 100 years old....“The best miraa in the world,” Mithika proclaims. Miraa trees and bushes, more commonly known as khat, produce the tender leaves and branches that are widely consumed throughout Somalia, Djibouti, Ethiopia, parts of Kenya and Yemen, where afternoon chewing sessions are ingrained in the culture, as ubiquitous as coffee and as common a social ritual as a beer after work, the seeking of a mild buzz. Mithika’s plantation is in central Kenya, amid the Nyambene Hills, not far from the town of Maua, where khat trees thrive in the high altitude and volcanic soil that farmers say cannot be reproduced. This area grows, just as Mithika boasts, the world’s most-coveted khat. The economy and people of the towns and villages here in Meru County depend on the khat trade — a 24/7 business in which everyone plays a role. “If someone tells you they’re not involved with miraa, they’re lying,” Mithika says. - Sida ay qortay jariidada Ingiriiska ee caanka ah ee The Daily Mail oo aad ugu xeeldheer nolasha iyo arrimaha dadka caanka ah waxa uu Mo Farah saxiixay heshiisyo dhawr ah oo uu lagalay shirkado waaweyn isagoo xayaysiin doono alaabtooda iyo adeegooda labadaba. Ganacsadaha weyn ee loo yaqaano Richard Branson oo ka mid ah tujaarta waaweyn ee wadankan Ingiriiska iyo caalamkaba ayaa soo dhaweeyay guusha Mo Farah waxaanu isla markiiba la soo xidhiidhay Mo Farah. Richard Branson waa mulkiilaha shirkadaha waaweyn ee Virgin Media, Virgin Airline iyo Virgin Trains. Richard Branson waxa uu Mo Farah ka codsaday inuu u xayaysiiyo adeega shirkadiisa is gaadhsiinta ee telefoonada iyo Interntka caanka ku ah. Mo Farah waxa uu xidhan ama labisan doonaa Gadhka Orgiga ee uu caanka ku yahay Richard Branson. Mo Farah waxa uu muuqaalka milicsiga hore u eegaan doona Richard Branson, laakiin marka uu qofku si fiican u eego ayuu garan doonaa inuu yahay orodyahanka caanka ah ee Mo Farah. Xayaysiiska noocan oo kale ah ayaa dhamaan UK todobaadyada soo socda ka muuqan doona sabuuradaha xayaysiiska ee suuqa magaalooyinka waaweyn ee UK oo dhan. Waxa kale oo uu xayasiiska Mo Farah kasoo bixi doonaa Tiifiyada waaweyn ee Ingriiska oo dhan. - Dr Maxamud Sheikh Xasan Tani thunderous depiction of Xasan Ciise Jaamac as the best presidential candidate is sending shock waves throughout Somaliland one month after the good doctor touted both the academic career and the leadership experience of the Xaqsoor front man. Dr Tani remains a pillar and the intellectual conscience of UDUB but he is also known for his open-mindness and his ability to acknowledge the achievements of his political opponents. This, combined with his undeniable clout in Somaliland, made Dr Tani the target of an intense jockeying from all Somaliland parties to land his support or endorsement. I came back from Somaliland a few weeks ago and the video of Dr Tani is the talk of the town especially in Hargeisa and Borama. 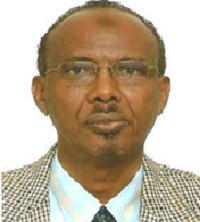 Most Somalilanders especially the younger generations were not aware of the top notch academic qualifications and intellectual abilities of Xasan Ciise Jaamac because of his humble and non boastful nature. Archive: Goormaa Dadku Dhibtan Ka Baxayaan? A pair of dark eyes peers through a narrow slit in a high green metal gate, watching people waiting to enter. Inside, a guard scans visitors with a hand-held metal detector and bags are searched. Amid much shouting and gesticulating, a man who tries to bring in qat – the ubiquitous chewing narcotic – is bundled out. This is the so-called pirates prison, a cream-coloured fortress, officially opened in November 2010 after a $1.5m (£950,000) refurbishment funded by the UN, to contain the pirates convicted of hijacking at sea off the Horn of Africa. Although the number of pirate attacks has dropped to their lowest level since 2008, experts say the problem has not gone away. More than 100 attempted hijackings off the coast of east Africa have been foiled so far this year, and dozens of pirates captured – raising the question of what to do with them. None of the countries in the region have been prepared to take responsibility for bandits captured at sea. Kastamka Kala-baydh (Gabiley) Oo Soo Xereeyay Cashuutii Ugu Badnayd Abid! “Bahda Saxaafada ee aan sida kediska ah halkan(Kastamka Kalabeydh) ugu kulanay waad mahadsan tihiin,waan yaabay oo waxaan is-idhi nimanka maydaan wada soconin ee yaa keenay meesha,Safarkayagu waxa uu ahaa mid kedis ah aniga iyo Agaasimaha guud ee Wasaarada maaliyada ayaa wada Socona, waxaanu ahaa inaanu u kuurgalno xaalada dhaqaalaha Kastamka, sida ay hawsha shaqadu u socoto, wixii dhibaatooyin ah ee hortaagan dakhligu sida uu yahay kor-u-kac ama hoos u dhac sida uu yahay. 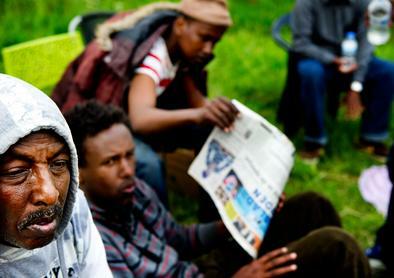 - A 'foreign accent' when speaking Somali or other signs of westernisation which cannot be kept hidden may be enough for some Somali refugees to be given residency in the Netherlands, immigration minister Gerd Leers told MPs in a briefing on Wednesday. Refugees returning to southern and central Somalia may be too westernised to live under the strict Islamic rules imposed by Al Shabaab, which dominates these areas, the minister said. The measure is more likely to apply to youngsters who came to the Netherlands as children and have spent their formative years here than adults who have not participated in Dutch society, Leers said. The immigration service will assess individuals on a case by case basis to see if westernisation is too strong to make a return to Somalia possible. - Today (20/08/2012), the mandate for Somalia’s Transitional Federal Government (TFG) expired, and parliament met for the first time to begin the selection process for the country’s new president and speaker of parliament. Though the process to create a new government has been flawed, the Obama Administration and the international community have hailed this development as momentous progress. In reality, there is little reason to celebrate, as the new government will likely mirror the ineffective and corrupt TFG. - Nin sakaarad ah oo naftii ka gurmayso ayaa walaalkii u yeedhay, wuxu ku yidhi; ''Waad aragtaa oo sakaraad baan ahay, naftina way iga gurmaysaa, ee intaan naftu iga bixin, Walaal, dardaaran baan kaaga tegayaa. Ka dib markii aynu guri keliya wada degnay oog ayaynu shidanay. Ogtaana waxaynu u shidnay saddexdii nin aynu walaalaha ahayn, ee inaga maqnaa, inay soo eegtaan si ay inoola soo degaan oo aynu beelo midaysan u noqono. Hadaba, saddexdii nin ma hayno. Waxaana la inoo sheegay inay foogaadeen. Labadeenana colaad xun baa ina dhex martay oo waa kala xidhiidh furanay.Waalal, marka hore, aan is saamaxno. Mar labaadkana, waxan kaa codsanayaa in oogtaasi aynu hurnay shidnaato oo aanay bakhtiyin, si labadeena reerna u wada dugsadaan, walaalaheenii saddexda ahaa ee inaga maqnaana ugu soo hirtaan. Ninkii sakaraadka ahaa markuu dardaarankii dhameeyay, ayuu walaalkii hadalkiisii hoos u raacay. sidii uu marna colaadii walaalkii dhex martay ugu fekerayay, marna saddexdii nin ee ay walaalaha ahaayeen ee la waayay, ayaa oogti bakhtiday. Halkaasaana beel midaysanna lagu waayay!!! - The Council of Ministers of the Federal Democratic Republic of Ethiopia, with deep sorrow and grief, regrets to inform the Peoples of Ethiopia that Prime Minister Meles Zenawi, who has led our country for the last 21 years with great wisdom and far-sightedness, passed away on August 20th at 11:40 pm at the hospital where he was under medical treatment. Prime Minister Meles Zenawi had been undergoing medical treatment for the last two months. He had lately been showing remarkable improvement, but unfortunately had to be admitted back to hospital two days ago when his condition worsened due to a sudden infection. All attempts by his physicians to treat this was unsuccessful, and he died at 11:40 p.m. on August 20th. It is with deep sorrow and heartfelt grief that the Council of Ministers announces the news of the passing of Prime Meles Zenawi, who gave his all to the cause of extricating Ethiopia and its peoples from poverty and backwardness. Prime Minister Meles was a far-sighted and visionary leader who above all had great love and clear vision for Ethiopia and its peoples. Somaliland Oo Wayday Saaxiib Run Ah: ''Geerida Meles Zenawi''! - 1991-kii oo ah markii ay dhamaan beelaha dega Somaliland isku af-garteen inay la soo noqdaan xoriyadoodii iyo qaran-nimadoodii ay sida aan ka fiirsashadu ku jirin ugu dareen Somalia-italia, waxa Itoobiyana ka curtay is-bedel siyaaadeed oo cusub oo maamulkii dalka waxa gacanta ku qabtay jabhado iskaashaday oo laba ahaa (TPLF iyo EPRDF), kuwaas oo dagaal kaga guulaystay xukuumadii Mengistu Haile Mariam. Isla judhadiiba labada xukumadood ee da'da yari waa Somaliland iyo Itoobiay-e oo ku cusubaa saaxada siyaasada aduunku waxa ay unkeen xidhiidh is-af-garad balaadhan wata oo u dhaxeeyay labada umadood. Ugu horaynba waxa si aayar-aayar ah looga bogsaday cadaawadii guunka ahayd ee la dhex dhigay labada dad ee walaalaha ah, taas oo runtii dhaawac wayn u gaysatay jiritaankooda, noloshooda iyo olog-nimadoodaba. Waxa maamuladii kala dambeeyay ee soo-mara dalka jamhuuriyada Somaliland iyo maamulkii Meles Zenawi oo isagu intaaba talada dalka Itoobiya gacanta ku hayay ay ku dadaaleen kuna guulaysteen, in labada dal ay iska kaashadaan dhinacyo badan oo ay ka mid yihiin ganacsiga, horumarinta bulshada iyo waliba ilaalinta xasiloonida iyo amniga gobolka Geeska-Afrika ee ay labda wadan ku yaalaan oo xaalado qalafsani intaaba ka aloosnaayeen. “Waxaan dadka Itoobiya iyo mandaqada geeska afrika uga tacsiyadaynayaa geerida naxdinta leh ee ku timid Meles Zenawi, wuxuu ahaa nin door weyn ku leh geeska afrika iyo Afrikaba guud ahaan, oo ilaalin jiray nabdgalyada geeska afrika” ayuu yidhi madaxweyne Axmed Siillaanyo. Isaga oo hadalkiisa sii watana kana hadlaya xidhiidhka labada dal waxa uu ku-daray madaxwaynuhu; “dalka Itoobiya aad bay iskugu wanaagsanaayeen Somaliland ilaa wakhtigii halganka aanu ku jirnay, waana wadan wayn oo mar walba waxbaa iskaga xidhan Somaliland iyo Itoobiya, marka wada shaqaynta xaga nabadgalyada, siyaasada, hurumarinta, ganacsiga waa mid lagama maarmaan ah” ayuu raaciyey madaxwayne Axmed Maxamad Maxamuud ''Siilaanyo''. 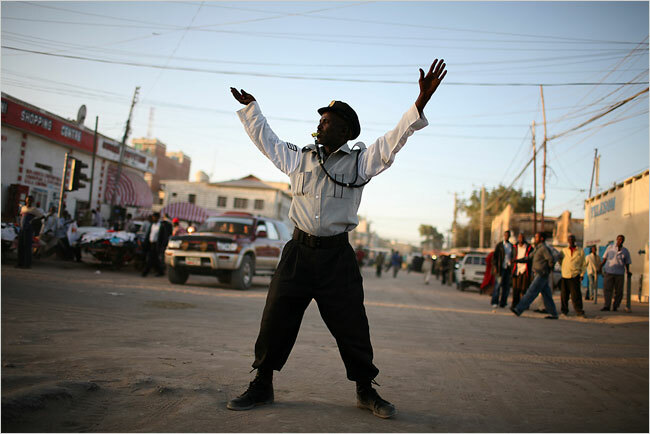 - In Hargeisa, So hard the traffic police work under direct heat of sun, that you could not resist to be empathetic. However, they are apparently confusing and bothersome, in the sense that you can hardly predict what they are going to do when they tell you to stop. One day as I was driving down, a bit fast, to the town for I was really short of time, a traffic officer told me to stop. I reluctantly stopped. I thought he was going to blame me for the speed, but to my surprise, He asked me for a ride. I instantly got so upset that I pulled out immediately as he was leaning towards the door to open it even before I let him in!! Two days later, as I was driving home, tired and exhausted, a traffic cop signaled me to halt. Once I stopped, he immediately turned into a beggar. It was really annoying to listen to him muttering. This time, however, I was not as agitated as I was last time, so I reached out to the drawer to give him some money, and in return, he gave me a salute–a gesture of respect– as if I were his superior!!!!!!!!! Authority of law should not respect money in that brutal manner. This remembers me the Somali adage, though in different context, which says: “ Muxuu nasabadda(dawladnimada) ka fogaaday”!!!!!!!!!!!!! Hargeisa, the capital of Somaliland is booming. Like a phoenix it has risen from the ashes. - This once proud and picturesque city is once again growning rapidly. After the destruction of the civil war to get rid of the dictatorship in Mogadishu , Hargeisa has managed to recover during the last two decades. Sadly, for the thousands of innocent people who had lost their lives during the air bombardment and shelling, it doesn’t matter at all. However, for all Somalilanders both at home and abroad, to see Hargeisa and Burao return close to their former glory is a source of pride. Having said that, whilst Hargeisa, Burao and Borama, have become the main cities in Somaliland in terms of development; Hargeisa is in danger of becoming the be all and end all of Somaliland . To the detriment of other cities in Somaliland, Hargeisa is becoming the centre of the commercial, political, educational, economic and social centre of Somaliland . This is a problem that plagues developing nations which leads to all kind of economical, political and social ills. The urbanization of one main city which leads to all kinds of social and environmental problems. Heart Disease: Is Eating Eggs Really as Bad for Your Heart as Smoking? - Is your breakfast omelet harming your heart? 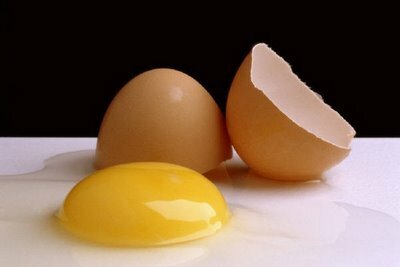 A recent study by researchers at Western University in Canada found that the more egg yolks people ate, the thicker their artery walls became — an indicator of heart disease risk — and that the effect was almost as bad as from smoking cigarettes. In the study, the researchers measured carotid plaque build-up in the arteries of 1,231 men and women, average age 62, who were seeking care at cardiovascular-health clinics. Participants filled out questionnaires detailing lifestyle habits including medication use, cigarette smoking and egg-yolk consumption. The researchers gauged how much people smoked and how many egg yolks they ate over time, by calculating their “pack-years” (the number of packs of cigarettes people smoked per day multiplied by the number of years they spent smoking) and “egg-yolk years” (how many egg yolks they ate per week for how many years). After about age 40, participants’ plaque began building up steadily, but among the participants who ate the most eggs — three or more yolks per week — that build-up increased “exponentially,” the study found. As people’s egg-yolk years went up, so did their plaque accumulation — an association that was independent of factors like gender, cholesterol levels, blood pressure, smoking, body mass index and diabetes. - Wariye magaciisa la yidhaa Mr Mark Tran oo u shaqeeya war-fidiye dunida aad looga yaqaan oo ka soo baxa dalka boqortooyada ah ee Ingiriiska oo la yidhaa'' the guaridan'', ayaa mudo todoba cisho ah socod-shaqo u tagay dalka Jamhuuriyada Somaliland. Wariye Mark Tran waxa uu soo indho-indhaynayay sida ay guud ahaanba Somaliland nolosheedu isku bedeshay! Meelaha uu ka so waramay ee uu tagay waxa ka mid ah bandhigii buugaagta '' the Hargeisa international book fair, xarumaha xawaalada Dahabshiil, warshada samaysa Coca-Cola-ha iyo dekdeda Berbera. Hadaba tasaawiir uu ka soo qaaday Somaliland intii uu joogay ayuu Mr Marka Tran qaar ka mid ah inala wadaagayaa ee daawasho wacan! Somaliland: No fuss. No Haggling. - Somaliland is far from the first nation I've traveled to. What struck me most, more than the pyramids of Egypt, the beaches of Cuba, the cathedrals of Europe or the Fjords of Norway was the most important wonder of any nation; it's people. I crossed the border from Ethiopia suffering from a guarded wariness common to most backpackers. Fear of being scammed, cheated, or worse are normal worries that come with any new country, particularly one where you know little of the language or culture. My fears were put to ease almost immediately by the warm greeting I received at the customs office at Wajale town as they stamped my passport and welcomed me to Somaliland. My next challenge was to get a ride to Hargeisa without spending a small fortune. I've found it's been a common custom for most countries' taxi drivers to charge outrageous prices at borders and airports, taking advantage of new travelers' ignorance. I was quickly shown to a waiting taxi and had the door held for me, the driver even did up my seatbelt! Every country I had been to before had charged me at least $25 USD for a short trip to an expensive hotel. My ride to Hargeisa cost me a modest $7 USD. No fuss. No haggling. UN Fails Somalia Again: A Bogus Election For 2012! - The United Nations has utterly failed the Somali people. It has failed to establish a genuine political framework for the people of Southern Somalia to reconstruct their lives. Instead of working to create self-governing authorities throughout the South, the UN has foolishly opted to impose through AMISOM, Ethiopian, and Kenyan interventions a so called “national election” that will undoubtedly re-ignite the simmering Somali tribal war. The only problem with the so called “national election to end the transition” is that it is not really an election at all; nor is the upcoming government anything but an un-representative tool to further dispossess and abuse the long suffering victims of Mogadishu. There will be no “Somalia government” when the same un-elected killers and thieves who worked for Dictator Siyad Barre are now pinning themselves as politicians. It is laughable when clannish outlaws like Faroole, Gaas, Barre’s nephew Farmaajo that just yesterday lobbied for Ethiopian tanks to bombard unarmed women and children in Mogadishu, who worked to earnestly uproot over 1 million Mogadishu civilians since 2009, who committed genocide upon Somalilanders in-order to facilitate tribalism in 1988 can even talk about “saving Somalia”! Moreover, to show the level of banality of the whole ugly spectacle taking place, the UN Mafia has entrusted the process to the bloody incompetent TFG gang under Sharif Sheikh Ahmed, Sharif Sheikh Aden and Abdiweli Gaas. The same Sharif and Gaas who are leading war criminals who have directly looted and massacred Mogadishu civilians daily through bombardment, torture, and diabolically conspired in the mercilessly diversion of humanitarian food aid for the displaced people in Elasha Biya camps. - The Governrnent of the Republic of Somaliland and prominent community leaders from the Sool region of Somaliland have sunday, l2 August 2012, underlaken a landmark peace agreement aimed at ending conflict in the Buhoodle district of the Sool region, and resolving domestic grievances through peacefui means. Under this agreement, Somaliland's Government released sunday (12/08/2012) 68 prisoners from the Sool region, captured as fighters over the last two years. The government has also pulled back its military forces fiom Buhoodle. This is pafi of a peace deal offered by the President of Somaliland as a way forward in resolving issues within the Sool region. In return,lhe community leaders and key political figures agreed to implement the peace deal and promote stability. Both sides have also rejected the motives of anti-peace elements in the area whose leaders cynically exploit the concems of the local people to serve their own political ends. - Shimbiraha waxa u dhaqan ah inay heesaan. Heesahoodana dadku marka ay maqlaan waa ay jeclaystaan. Waxa hadaba la yidhi, Tukuhu sida shimbraha kale ayuu u heesi jiray oo uu u cod macaanaa. Hase ahaatee, waxa dhacday inuu maalin malmaha ka mid ah maqlay geenyo heesaysa. Codkii geenyada ayuu aad u jecelaystay. Wuxu ku tashaday inuu sida geenyada u heeso. Tababar iyo ku dayasho joogto ah ayuu bilaabay. Aadna wuu ugu dadaalay inuu sida geenyada u heeso. Markuuse is yidhi sidaadii hore u hees, ayuu codba ka soo bixi waayay! Halkaasuu hadana dadaal kale ka bilaabay. Siduu u dadaalayay, ayaa waxa ka soo baxay “waaq, waaq”!!! - Oradyahanka caanka ah ee magaciisa la yidhaa Maxamad Faarax (Mo Farah) oo ah nin u dhashay Somaliland, una orda dalka Ingiriiska ayaa sabtidii(11/08/2012) ku gulaystay biladii labaad ee dahab ah ee uu qaado mudo todoba cisho gudahood ah, kadib markii uu Mo Farax orodo caaqiibo leh oo aan hore loo arag oo qiyaastoodu tahay 10000m (10km) iyo 5000m (5km) ku soo bandhigay ciyaraha Olympiga ah ee ka dhacaya dalka Ingiriiska. Farxada iyo raynraynta ay dareemeen dadka ku nool dalka UK ka-sokow, waxa si aan la malayn karin guusha Mo Farax u soo hoyatay ay u saamaysay dalka Somaliland iyo degaamada kale ee ay degan yihiin dadka af-soomaaliga ku hadlaa, taasoo dadku meel ay joogaanba muujiyeen sida ay ugu faraxsan yihiin guusha lamaanaha ah ee uu Mo Farah ku hantiyay, tartankii olympics-ga ee London (Uk) lagu qabtay labadii todobaad ee hada dhamaaday. Waxa dadku ay sameeyeen damaashaadyo iyo isku soo baxyo aad u balaadhan, meelaha wacdaraha laga dhigayna waxa ka mid ahaa magaalada Tog-Wajaale, Hargaysa, Gabiley oo uu Mo Farax dhalasho ahaan ka soo jeedo! Idaacada BBC-Somali oo ka mid ah idaacadaha af-somaliga ku hadla ayaa waraysi ku saabsan arintan la yeelatay orodyahanka Mo Farah, walaalkii, dad ay xigto yihiin iyo dad kale oo badan. Dadkaas oo dhamaantood sheegay sida ay ugu faraxsan yihiin libintaa uu qaaday Mo Farax. Denmark is contributing with 112 million Danish kroner over the next four years to Somaliland with an objective to contribute to a more stable Somalia capable of handling its own security and promoting a stable economic and social development. The fund will among others be used to set up a Somaliland fund, which will support development priorities defined in the national development plan for Somaliland. Focus will be on the continuous development of public institutions, the democratic process, strengthening of the private sector as well as supporting locally based development initiatives. MARIETTA, GA and OTTAWA -- (Marketwire) -- 08/14/12 -- Optical networking specialist Optelian is pleased to announce that it has entered into an agreement with SomCable to deploy Optelian's LightGAIN system on a terrestrial backbone network to provide faster and more cost-effective communication for Somaliland. "After exploring various network architectures," explains Michael Cothill, Chief Executive Officer of SomCable, "we converged on a next-generation IP over Dense Wave Division Multiplexing optical network to carry voice and data traffic throughout Somaliland and Optelian provides exactly what we are looking for. With our aggressive plans to provision a new terrestrial backbone to transport all wireless and internet traffic, SomCable needs an easy to use, reliable, and scalable solution that will allow us to start small and grow to meet our customers' needs." "SomCable designed a state of the art next generation network, so the advanced functionality along with the easy plug and play engineering of Optelian's optical transport solutions serves them well," states Mike Perry, President at Optelian. "LightGAIN's scalable, modular architecture and support for alien-wavelengths provide them with 'Best of Breed' building blocks for their entire network." Hadii Khaatumo-State Shuruudaheedii Fuleen Awdal State-na Maxaa Loo Hayaa?! - Marka hore,waxa hambalyo iyo bogaadin mudan cid kasta oo gacan ka gaysatay dhiraandhirinta, isku soo dhawaynta, turxaan-bixinta iyo nabad ku soo dabaalista degaamada bariga Somaliland, kuwaasi oo ay ugu dambaysay nabad-qaadashadii Buuhoodle, oo ay duleedkeeda colaadi ka taagnayd dhawrkii sanadood ee ugu dambeeyay! Wax la maadhiyo oo loo guura-galo nabad-baa ugu shilis oo ugu qaalisan! Sawtii hore loo yidhi; '' Saw nabadi sahaydaada ood sidato uun maaha''. Tabashooyinkii keenay colaadii iyo weeraweerahii u dhaxeeyay dawlada Somaliland iyo dadkeeda (qaybo bariga ah) waa la iska af-gartay oo waa laga heshiiyay. Waxana la go' aansaday samo-ku-wada-noolaansho! Iyo in la kala jeexdo xabada furinka ah, la wada dhisto qaranka Somaliland ee la wada leeyahay ee loo siman yahay, oo iyada oo lexejeclo isku mid ah laga qabo la wada ilaashado. Taasi hadaba waa bariga Somaliland (Buuhoodle)! Tu kale ayaa hadhsan oo ah arinta Awdal-State! Maxaa iyada laga yeelayaa, ma haboontahay in cidii ay arintaasi ka go'do ee wax tabanaysa la marti qaado oo la is dhagaysto, la garamo, oo xoog la saaro in la is-qanciyo? Ma aha Khasab inay Dawladu bilowdaa arintan, dadka kale ee walaalaha ah ee wada dhashay ayaa xaajada baalalayn kara oo ibo-furkeeda yeelan kara, iyada oo ay gudoonka u dambeeya dawladu dabcan yeelan doonto.